Charlotte Aquatics..... Swim Like A Fish! Classes meet once per week for 30 minutes. Please choose a time that works the best for you since we cannot accomodate make-up classes. I agree to allow Charlotte Aquatics to automatically charge my bank account or credit card immediately upon submission of this form. Monthly lessons will then be charged on or about the 26th of every month - for the following month's swim lessons, until I withdraw from the program. Tuition is based on how many classes are in a specific month. For example, if there are four Mondays in a month, I will billed for four lessons. If there are five Mondays in a month, I will be billed for five lessons. An annual membership fee of $35 per family will be charged to your account upon registration and then every year with your January billing. I understand that in order to withdraw my child from monthly swim lessons, I must provide a 30 day notice. To withdraw from lessons, you must submit your request through your Parent Portal. You will select the "Contact Us" option using the 3 bar menu located in the top right corner of your portal. In the Subject please write "Cancellation". In the Message body please tell us your swimmer's name, class, and day. Your last class will be 30 days from the time you submit your cancellation request or later if you request a later date. It is important to note that when Charlotte Aquatics receives your cancellation form, your enrollment will terminate 30 days from the date your form was submitted or later if requested. If you change your mind, you must re-enroll. Space may only be available in a class other than the class that you have withdrawn from. As per the registration agreement, you will be billed for the next billing cycle through your last class. Hand written or verbal cancellations cannot be accepted. 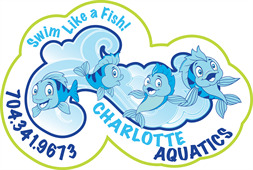 In consideration of my child's participation in Charlotte Aquatics programs, I hereby release and indemnify Charlotte Aquatics and any of its employees, officers, agents, or guests from all claims of any kind arising from participation in any programs, the use of any products, or from any activities on the property of Charlotte Aquatics by my child and his or her spectators, and to assume all risks incident to such participation use or activities. In order to provide the best swim experience possible for all students, we do not allow students to make up lessons by moving in and out of classes. The consistency between the instructor and between the students allows all students to receive an excellent lesson and improves the outcome for swimming success. Therefore, if your child misses a class, we are unable to provide a make-up class for them. We will consider a credit for students with a medical diagnosis on a case by case basis. We are unable to provide make-up classes or refunds for circumstances beyond our control - this includes closings due to inclement weather and closings for "accidents" in the pool. I authorize Charlotte Aquatics, in the event of an emergency, to render first aid treatment and/or arrange for emergency medical treatment at the expense of the undersigned. Any physical condition that could affect participation in programs or the use of the facility has been noted above. All children under the age of 3, or those who are not fully potty-trained regardless of age, must wear a fitted, reusable swim diaper. Cloth diapers, regular disposable diapers, or commercial swim diapers (Huggies, Little Swimmers, or Pampers Splashers) are NOT acceptable. I give my permission for Charlotte Aquatics, its employees, or agents to take photographs, videotape, or digital recordings for marketing and/or public relations purposes. I understand that all personal information will be withheld. I understand that there will be no financial or other remuneration for photographing or recording my child. NOTE: If you do not wish your child to be photographed please let the office know and we will make a No Media note in your account.